Smart Corner in Downtown San Diego is located at 1080 Park Blvd in San Diego. If you are looking for a condo in the downtown area of San Diego then the Smart Corner is worth a visit. Located in the Core District & East Village area of downtown San Diego, Smart Corner condos have one of the best locations. Priced in the low $200,00 range, Smart Corner condos are a great way to find affordable condo living in the heart of downtown San Diego. Homeowners association dues typically average $465.00 a month. 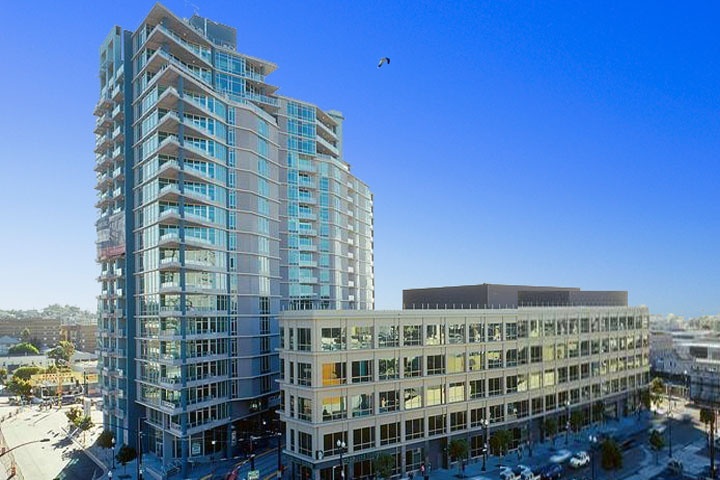 Below are the current Horizons downtown San Diego condos for sale. If you are looking for a downtown San Diego condo for rent please visit our San Diego rentals page. We also provide all sold Smart Corner condos sales at our San Diego Sold Search. All San Diego homes and San Diego Condos for sale are also listed below in the various San Diego neighborhoods. Questions? Let our team of San Diego Realtor Associates help you. Please contact us at 1-888-990-7111 today!